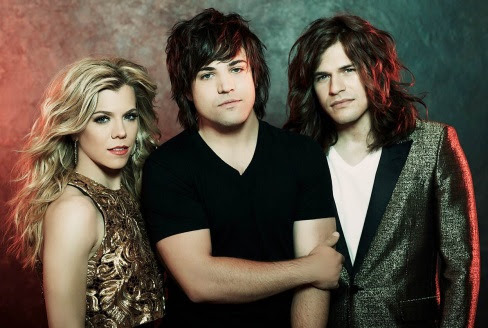 Republic Nashville trio The Band Perry will join several artists to salute Stevie Wonder during “Stevie Wonder: Songs in the Key of Life,” which will air Monday, Feb. 16 at 9 p.m. ET on CBS Television Network. Other artists set to take part in the event include Beyonce, Jennifer Hudson, Lady Gaga, Jill Scott John Legend, Ariana Grande, Andrea Bocelli, Pharrell Williams, and more. The two-hour special will be presented by The Recording Academy, AEG Ehrlich Ventures and CBS. The Grand Ole Opry will launch its 2015 Tuesday Night Opry performances on Tues., Feb. 17 with appearances by Opry members Trace Adkins, Del McCoury, and Pam Tillis along with special guests Jamey Johnson, Parmalee, and more. The Tuesday Night Opry continues through Dec. 15, the Opry’s longest Tuesday night run to date. The artist line-up for Tues., Feb. 24 includes Opry members Bill Anderson, Charlie Daniels, Darius Rucker, Josh Turner, and more. 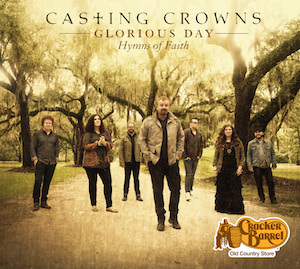 Cracker Barrel Old Country Store® will release Contemporary Christian group Casting Crowns’ upcoming CD Glorious Day: Hymns of Faith, which will be available on March 2, exclusively at all 634 Cracker Barrel Old Country Store® locations and online at www.crackerbarrel.com. The album features 12 songs, including six new tracks recorded especially for this collection. 25 Entertainment, in partnership with K-LOVE and ChildFund International have partnered for The Bible Tour 2015. The 15-city live-concert experience runs April 8 through April 26. The lineup includes Steven Curtis Chapman, Francesca Battistelli, Brandon Heath and Danny Gokey. Tickets are available at thebibletour2015.com.